Los Cabos, Mexico – Special promotional rates in addition to “Design-it-Yourself Savings” give vacationers the opportunity to choose between a complimentary night, resort credit, room upgrade or car rental. The promotion enables guests to save up to $985 on a summer vacation at the all-suite beachfront Marquis Los Cabos Resort. The Summer Savings Promotion at Marquis runs now thru October 10, 2010 and provides room rate savings as well as a choice of one of the following: a third night complimentary, a $500 resort credit (casita only), two complimentary days with a rental car or a complimentary upgrade to a Marquis Suite with private pool (Junior Suite only). Until October 10th, rates start $250 per night for a Junior Suite and $985 per night for a Private Pool Casita. 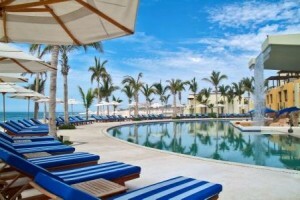 For additional information or reservations, please call 1-877-238-9399 or visit www.marquisloscabos.com. Mexico City. During the 28th National Public Security Council meeting, President Felipe Calderón announced that at the new ordinary period of Congress sessions, he will submit a bill for constitutional reform that will promote a new police force model. This will be based, he explained, on 32 state police forces with a single, reliable command in each, which will make it possible to advance with much greater clarity and unity of command in the coordination of the various orders of government. “Our main objective is to ensure that, regardless of who is governing or what party he belongs to, Mexicans will be protected by an honest, professional police force, an effective, transparent system of justice and a legal framework that increases the authorities’ power in the face of criminals and makes it possible to effectively punish criminals,” he declared. In Campo Militar Marte, accompanied by the Security Cabinet as well as most of the country’s governors, the President stressed that the best response to crime are institutional solutions that outlast governments, since countries that have successfully overcome the problem of the lack of law and order have done so in an integral, national, long-term fashion. “We must continue working to ensure that institutional changes translate into Mexicans’ security and tranquility. That is why it is essential for local authorities to redouble efforts to ensure the professionalization and reliability of their security corps, so that they strengthen their institutions for the procurement and administration of justice,” he explained. 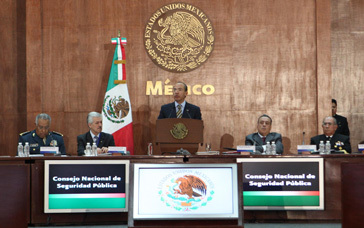 President Calderón confirmed Federal Public Administrations’ willingness to support the efforts being made by this Council, “Because we want a safe Mexico, in which there is no place for the fear, violence and impunity we are suffering today.” “I am sure that in the discussion we will have here on the new police force model, the resources and contributions of the Contribution Fund for Public Security and the creation of a National Academy of Penitentiary Administration and others, Mexicans’ interest will prevail over all others. The Mexico of freedoms, order and peace we wish to pass down to future generations demands the unlimited commitment of all those that have the privilege of serving our country in a public position,” he declared. During the closing ceremony of the 28th version of the Council, attendees approved President Calderón’s proposal to create a special commission that will follow up the agreement to create a new police force model in Mexico. 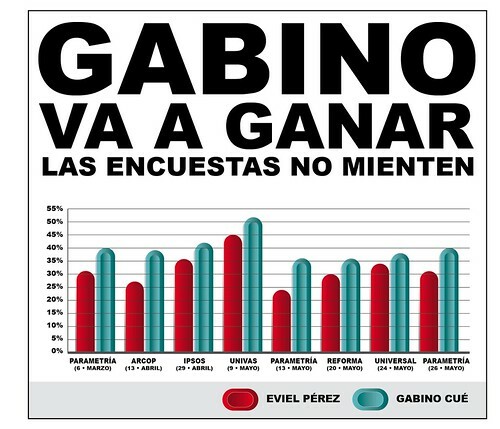 Encuestas Elecciones 2010 Oaxaca, Gabino Cué Monteagudo, originally uploaded by Gabino Cué Monteagudo. What about tourism? Officially speaking, it’s not so well developed. Mexico’s Tourism Board created We Visit Mexico but the group hasn’t had much traction. On the informal side, there’s plenty of great imagery from Mexico on individual accounts and Flickr groups. These are just a few links. Let me know if you have any other Flickr faves! Sir Paul McCartney in Mexico: Fan Frenzy or “Vicious Attack”? If you’ve been reading the prensa amarillista, the sensationalist—and, unfortunately, very vocal—arm of the press, you’ll have stumbled upon headlines that read “Paul McCartney’s tour bus attacked by mob in Mexico” (azcentral.com) or “Paul McCartney attacked by thugs in Mexico” (World Entertainment News Network). Apparently Sir Paul’s bus ventured into a not-so-shiny part of Mexico City after two very, very successful concerts. His obviously not-from-the-barrio tour bus was surrounded by ardent fans, who proceeded to mob his vehicle and literally crawl up on the roof. Oh. My. God. A Beatle? Mobbed??? Heavens, what is this world coming to? When a superstar literally fears for his or her safety because of over-zealous fans, it’s time to throw in the towel. I mean, hard-working celebrities losing their shirts, people grabbing at them, invading their space… What’s next? In my próxima vida, when I’m a mega-celebrity, I will simply helicopter in and out or my brief appearances and live on a secluded island to preclude thuggy fan attacks. What ever happened to “the three amigos”? Arizona passes a controversial new immigration law. Canada slaps a visa requirement on Mexican visitors. Why can’t we all be amigos like these two guys in Mexico City?